Brandon Sonnier is a film and TV writer, producer and director. Since 2013 he has been part of the writing team for the hugely successful TV show The Blacklist. In this interview we discuss the hard work he put into achieving his goal within the industry, and the people who have helped him on the way. We talk about his films, what goes into the making of an episode of The Blacklist, and why hip hop means so much to him. PC: You were brought up in Houston, what was that like? BS: I grew up in a couple of different places in and around Houston, Texas. I spent a lot of time in the inner city, in a place called Trinity Gardens, which is in between 3rd ward and 5th ward so it’s a pretty rough neighbourhood. My experience of it was that it was a wonderful community where there were lots of friends and family around; I lived with a lot of my family in my great grandma’s house, there. It was a wonderful time even though, looking back on it, I realize it wasn’t the best neighbourhood. Eventually my mom ended up moving outside of Houston, to a small country town called Hempstead so I lived several years of my childhood in that town. We had neighbours who had horses and pigs and cows, I got to experience rural farm life. I had a well-rounded upbringing, I had a lot of different experiences, I saw both the good sides of life and the bad sides. There was my mom (who was a single parent), my little brother, my little sister and I, and it formed us into a tight family. Now, as an adult, I’m thankful for the way my mom raised us. PC: That was my next question, now that you are a parent yourself do you appreciate the tough times and choices your mom would have had to make? BS: My mom was 20 years old when she had me and I was 30 when I had my first son. I have three children, two boys and a girl. Just looking back on what my mom must have gone through with her three kids, at 10 years younger than I am now with my three kids, working several jobs, just doing everything she could to make ends meet and to give us the best childhood possible, I don’t know how she did it. My little brother went to Harvard Business School, my little sister is an elementary school teacher, my mom is a super-woman. PC: It’s amazing her doing that against all the odds. What values would you say she most instilled in you? 1) You can do anything if you can read and communicate- my mother is a librarian and she was big on reading. You can learn anything, you can do anything, all you have to do is be able to read. 2) Hard work- just because you know how to do something doesn’t mean that you will or can do it well, but if you work hard, you can be as good as how hard you work at whatever it is. PC: I have spoken to a lot of actors and writers who at an early age liked to dress up and use their imagination in role play, is this something you did? Or were you not particularly interested in drama or acting? BS: I was extremely interested. It was acting first, when I was much younger it was around the time all the kids’ shows on Nickelodeon were big. All That, was one of them and Keenan & Kel, so at that time when there was that kind of stuff, I was watching a lot of those types of shows (also The Cosby Show and The Wonder Years). Shows where I saw kids on TV and I thought, ‘I’m going to do that, I’m going to be on TV’, and for a while I did high school theater and before high school theater I did something called Odyssey of the Mind in junior high. In junior high there was a kind of creative competition, where you had to write plays and perform them and other kinds of intellectual compositions, so I started early on getting into all that kind of stuff. And when I was at high school I was doing plays and they told me I was a fairly good actor- but I’m not sure that I was, I let that go fairly quickly after I realized how much fun it was to write and direct. In high school I adapted a stage version of Malcolm X, the film that Spike Lee did. PC: Wow that was pretty heavy. BS: Yes, I started to get into films and television very young. You know, being in a single parent household, I watched a lot of TV, and a couple of movies on a Saturday or whatever day particular ones were released on and then we got a VCR. I remember the day my mom came home with it, it meant we could then watch the movies that were on at the theatre at home and one of those movies was Malcolm X. It happens to also be the first screenplay that I ever read. I must have been 13 when I saw that you could buy the screenplay, transcribed from movies; I saw that one on the shelf, I picked it up and I read it. Since I was only 13, obviously I had not yet read the autobiography of Malcolm X, but going through the screenplay I could read the story through Spike Lee’s voice, and all at the same time, I was learning the structure of a screenplay, and literally the way a screenplay looked on paper. So when I got to high school and I was doing all these plays, that was the ‘one’ thing I thought I could make into a play, because my theater teacher had asked me to write and direct a play. I said, ‘I want to try something’ and to her credit (her name was Terry Hibbert) she said, ‘Okay, go for it’, and she let me put up a staging of Spike Lee’s Malcolm X.
PC: How did it go down? BS: Great! It was really good, as far as a high school staging of Malcolm X, it was a pretty good one. PC: So that was it? There was no turning back to acting after that? BS: The next year I wrote an original play, it was called Dexter’s Strong. It was about a guy, who was a kind of a follower, who got put into a situation where he had to step up and take the lead; and the whole question of the play was, will he be able to step up and do the right thing? I wrote that in my senior year and again, Terry Hibbert, let me put that up and so I had the writing and directing bug from there. I got a scholarship to USC because I knew that, as much as I loved theatre and I did lots of theatre in high school but that was really just because I didn’t have access to film. I knew it was always going to be film or TV- those were where the passions were- but if I was going to direct something at high school it was going to be on a stage. PC: So you moved to LA to do that, was that because it was the place to be, to move forward in the industry at that time? BS: Absolutely, when I was very young, even before I had started writing and directing plays, I was about to turn 15 and I said to my Mom, ‘I wanna make movies, so we have to move to LA.’ My Mom was very supportive but she was not about to pick up and move to LA for her 15-year-old son, so she said, ‘Well your cousin lives in LA. Why don’t you go and see if you like it? And if you do, you will just have to get into college in LA because that’s how you will get there.’ So I got on a Greyhound bus, aged 15. It was summer, and I went to visit my cousin; he had a small apartment in Pasadena. My cousin took good care of me, he showed me a good time and I looked around the city. I looked at UCLA, I looked at USC, because even at 15 my mom said, ‘Well, if you want to move to LA, you better go to college there’, so that became the plan: college in LA. After summer I got home and I knew that I’d be going to school in LA and I looked up the different schools and I saw that John Singleton the director and writer of Boyz n the Hood had attended the USC film school so I said, ‘That’s it, that’s where I have to go! That’s what I want to do, make movies like that.’ The rest of my high school career was spent making sure I was in the best position possible to get to USC; knowing I had no money and it’s a very expensive private school. So I got to the end of high school and I had earned full scholarship to USC and that’s where I went; I had applied to one school- USC School of Television- and I got in, and I got a scholarship, and I was off from there! PC: You are very single–minded, is that how you live your life, you know what you want and go after it? BS: That is exactly right, it is how I have always lived my life or have strived to live my life, not usually as a conscious decision, mostly … when you grow up without a lot of opportunities and you see an opportunity, you don’t think about anything else other than achieving that goal, that is what it’s always been like for me. Even now, even though I have more opportunities, now that I have gotten to a better place in my life as far as financially, and just the landscape of opportunities that’s out there for me, I still am that same kid who sees a goal and doesn’t know any other way than to work as hard as I can to achieve that goal. PC: What was the big difference between Texas and LA when you moved there? BS: It was a big difference but, more so than anything else, it was that I was now in college. It was a big move from working during high school at Blockbusters videos, trying to save money, just living the life of a high school kid, with the dream of being in Los Angeles and college- and not just college, the USC film school, No. 1 film school in the world! I’d went there with only a small group of other kids, because they don’t let in a lot of kids; we all had that same dream. PC: What kind of numbers are we talking about? BS: I was in the production program, I think they let in something like 100 students each year and I can’t remember what the admissions were, but the odds were slim that I could actually get in to the production class there (I’m fairly sure the odds would be even slimmer now). So you look around and instead of being the one guy in high school who loved movies and TV, who really wants to be a director and a writer one day, ‘everyone’ is that guy, everyone was the guy at school who was writing plays and doing everything they could to get to USC. The one thing that was different for me, is that most other kids when they got to school, felt like, ‘Okay, now I’m in college’, whereas, for me, it still was an opportunity; it was an opportunity to step to the next thing because just getting into USC wasn’t the goal, being a film maker was the goal. PC: So the other students may have taken their foot off the pedal at that point, but you were still pushing, pushing, pushing. BS: Right! I found a small group of friends, who are still very close friends to this day: Evan Schiff, who’s now an editor in the industry whose working on some very cool movies, Antonio Negret, who is a television director and a feature director who’s just done a big movie and he does lots of TV episodes- not one of my episodes yet, but hopefully soon one day- and, Scott Speer, who started in the music video world, then worked his way into the feature film world, and now has a fairly high profile career. And it was literally like that handful of people were the guys who didn’t sit back, and literally the first day at school, the night we all arrived, I saw Antonio and Scot walking by with a video-camera. They just walked by the hall of my dorm and I said, ‘What are you guys doing?’ And they said, ‘Well, we’re at film school, we’re just going to make a little movie’, and I had a video-camera, so I grabbed my camera and followed them down the hall, and we made a film that night…been friends ever since. PC: That must have seemed so cool and exciting to you? BS: Yes, and it was that core group of guys I called the summer after my sophomore year; it was those guys and my roommate Ricky Ching (about which there is another story I want to tell you later). So those were the guys and I said, ‘Guys, we can do this for real. We can make a real movie.’ We got together and we did it, and that started my career even before the end of college. BS: Absolutely. I am very aware of the fact that it could have worked out very differently. As hard as I worked and as much as an education I tried to attain, along with my knowledge of film and television, and also having in my mind my Mom saying, ‘You can do anything with education and hard work,’ I also recognize that in this particular industry, as in most industries, luck played a huge factor. There have been stretches of my career where I could not get lucky; I couldn’t get that right thing, at the right time, with the right person and it felt terrible. You can be as good as you want to be but you can’t get it done, just because of the way things are working out; so yes, I recognize I am blessed and incredibly fortunate to be in the position I’m in. PC: So how did you get in with Brandon Margolis? When did he come into your life? PC: We won’t tell him she said that though. BS: Yeah…’You don’t need to tell me how great he is. There’s a guy at work that I don’t know, that you’re fond of, and I don’t know if I like this…’ but eventually we met. We got together for drinks at a bar one night and the drinks part of it was fine. I thought he was an okay guy, and as we were leaving we both reached into a bowl of matchbooks, and neither one of us smoked, but it was just kind of a habit I had picked up. This is a true story. I looked at him and I said, ‘Why are you grabbing matches?’ And he said to me, ‘Well, I always take a book of matches in case the night turns into Die Hard and I need a book of matches. You never know.’ And I said, ‘Well alright, I always have a book of matches in case I get murdered later. It will help the detective to know the last place I have been.’ And it was kind of from there that we knew we had a similar mindset on things, so we became good friends. It was another 11 years before we actually started writing together; we were both trying to make it as writers. I had a career as a writer/director going, I did three movies, I then transitioned into editing because I was having one of those long stretches where I couldn’t get things lined up to get a movie made. I refused to do anything other than work in the entertainment industry. I taught myself how to edit and then I worked as an editor for reality TV. 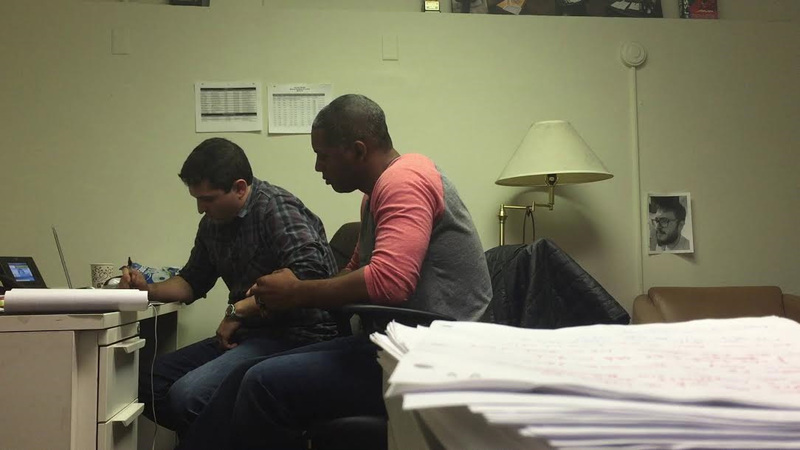 While I was editing, Brandon showed me a script, actually it was after my second movie he showed me that script, and we started working on that one script together because I thought it was a good idea for a television series. It was originally a movie idea. You know, when you are young as a writer- as we all are and have been- you’re fairly undisciplined usually, about structure, about everything, you’re still learning and when you’re still learning it’s hard to find what real structure is and hard to edit yourself in a way that you can really put together something that is both good and professional, usually it’s one or the other when you’re first starting out. I thought he had this really good idea, a really good, well-written script but it was 180 pages long. It was a zombie movie but nobody’s going to sit down that long to watch a zombie movie, so we sat down and broke it up into three episodes of a TV show; then we rewrote it together and we had a great time doing that. It wasn’t until years later we said, ‘Why don’t we do this all the time? Why don’t we write everything together?” And we started doing that. PC: When you pitch your ideas is there always one of you that leads the pitch? Or do you both do it? BS: We do everything as a team; we rarely do things singularly, even when we are pitching. When we started out we thought the same, we had the same ideas, but after this many years of being friends and working together so closely, our minds really do work as one. He can finish my sentences, I can finish his, when we see what direction the story is taking we can take the ball and run. Sometimes you hit a block and are wondering what comes next, it’s always good to have a partner who will say, ‘Well here’s what comes next’, because he can think ahead. PC: Do you have any other projects in development with him that you can share? BS: Yes, we stay as busy as possible so we have several projects. I can’t talk about most of them yet, because they are not actually ‘out in the world’. We have a couple of scripts we’ve written, and a feature film we have written, that we are starting to take out into the market place now. We always feel, there are two of us, so we should be able to do twice as much work. PC: How important is it in the industry to have people that will put in a good word for you? Someone who has previously worked with you or has recognised your talent? Is networking a big part of it? BS: It is incredibly important. I would say almost as important as being a good writer because you can be a great writer but if you don’t know anyone, or have anyone that will vouch for you, or anyone that you can hand your script to, that will take it seriously, then you’re a great writer that nobody’s ever heard of. PC: Yeah I’ve experienced that– I’ve had both Xander Berkeley (The Walking Dead) and Charles Baker (Breaking Bad, The Blacklist) introduce me to other actors and writers. And that’s been wonderful, because it would have been so much harder without their input. BS: That’s fantastic! It’s important to be a good person, especially in a situation like we are in- you work every day closely with a group of writers. On TV it’s different from movies. In television you literally sit everyday with a whole group of other people, working on the same ideas, working on the story line. When you’re a feature writer you sit generally alone to come up with an idea to write your script, so, it’s so important to be a kind person, to be a fair person in the room, to listen to the ideas of others, to share the credit; there are so many upsides to just being a good, decent person that it’s kind of astonishing when you run across someone who is not. PC: Talking about your movies, in 2003 you wrote and directed The Beat which resulted in at the age of 20, you being the youngest director to be featured at The Sundance Festival, how did that feel for you? BS: It was amazing! That was literally the dream! The dream was to get into film school so I can make a movie, and go to Sundance, and become accepted as a filmmaker in the industry and that happened, that happened at 20 for me. I was at Sundance and I was not allowed to drink at the bar, it was a surreal experience. Then I had a period of not knowing what to do because I’d achieved the thing I wanted to do. And after that I drove onto every studio lot and had all the meetings with their people, because I was the hot young director out of Sundance, and I didn’t know then what I know now, that those meetings were great, but I was kind of a fluke; no studio was going to give me 30 to 50 million dollars to make their movie. I was 20 years old and I’d made a great movie but that movie cost less than quarter of a million dollars. I had a lot to learn. PC: I read about your roommate who told you, your script was good enough to make into a movie, tell me about him? BS: His name was, Ricky Ching. We were all film students so we were all writing scripts. He looked at that one and said, ‘This is really good. This could be a movie. This is good enough to make.’ We started working together to get it producible and we started looking for money, finding investors that would help us get it made. And then, unfortunately right before production, when he was headed back to Houston, he was from there too (we didn’t know each other at school but we met at college and we were both from Houston, so we had that in common) and everyone used to drive, all night long. It was a two-hour drive to get from LA to Houston but we were young and we thought we were invincible. So I drove home and when I arrived I couldn’t get Ricky on the phone. Eventually I got his Mom on the phone and she told me he had fallen asleep, and had a car accident on the drive home, and he had passed away. So I took some time to just sit in a dark room and I remember, I was sitting in that dark room for quite a while just thinking, ‘Forget the movie, my friend just died.’ And my girlfriend’s dad, who is now my father-in-law (so Sarah’s dad) came into that dark room and he said, ‘ what do you need? You tell me what you need and that is what we will do.’ I said, ‘I think I need to make this movie. I think that’s the thing to do. I think Ricky wanted this movie to be made and that’s just what we should do.’ After Ricky’s death, kind of everything had fallen apart and my future father-in-law said, ‘Okay, then that’s what we will do’, and he helped put it all back together and I was off making the movie. So I was stepping out of the sadness of losing my friend, and making the thing that we had worked so hard together to make, is what got me through it. PC: That must have been great to have your future father–in–law do that, just to have somebody come along and help you put the pieces back together, and get it made? BS: Yes absolutely. There are a few men in my life that I owe a lot to because, with not having a father growing up, I didn’t have an example in my home to look up to, but the number one guy is my now father-in-law; he has taught me a lot about what it means to be a man and that’s one of the greatest things that has ever happened to me. PC: Is he just your average guy or is he in the film industry? BS: He’s not in the film industry, he is an engineer. He did very well for himself, he started a company. We have a lot of similarities. I guess it’s true that every girl wants to marry their dad, like the Freudian thing is. We have a lot in common my father-in-law and I: he is from the Bronx in New York and he knew from a very early age what he wanted to be, and he wanted to be an engineer. He went to Cornell, he got into the best school he could get into, and worked the hardest he could. And he started his own company and became very successful and lived his life the way he wanted to, which is just being a good human being. PC: That’s really nice a heart-warming story. BS: I met my wife in high school so I’ve known him since I was 17, so he’s definitely been a father figure in my life. PC: So getting back to the film, the story revolves around a young man who follows two paths: his father’s dream of becoming a cop and his own dream of becoming a rapper, tackling issues of race, class and justice. Was there a specific event that prompted you to write that, or just a realisation of that was the way or a fact of life, in America, at that time? BS: I don’t know where it started but it came out of a place out of philosophy more than an event; more of, every moment could be the moment that changes your life. And I’ve always felt that, and it’s one of the reasons that I strive to grab every opportunity, because you never know this could be the opportunity to make something great, or it could be the moment that changes everything. So the structure of the film, the underlying story of the film, is really watching what happens at one of those pivotal moments. Whether you choose to go left or right can affect your entire life and I thought it would be very interesting to watch what that would look like in practice. To be able to view both versions of a story, of a man who’s faced with a big decision; a decision to follow his dreams or to live the life that’s been laid out for him. PC: It’s a little like your own story: you could have been that guy in Blockbusters, and still be working in a store like that, or you could have taken the path you have taken. BS: It is very much my story. PC: Thinking about the music in the film. What is the difference between hip hop and rap? Is rap like an element of hip hop or are they two separate things? BS: That’s exactly right, you just said it, hip hop is more a culture, it encompasses lots of different aspects of urban life or even extends to rural life, it’s just a state of mind, a way of being, and included in the culture of hip hop is rap music. It’s hard to see it now because hip hop culture has so intertwined itself with American culture but at the beginning it wasn’t like that, it was a separate thing, it was almost considered dangerous. If you think back to the 80’s, and the way people were looking at hip hop then, it seems very strange to look at it now, and see the kids dressing the way they do in line with it; it’s just a part of the way we live now. PC: When I’ve read the reviews of the movie, on paper it looks like a hip hop fan’s dream, someone wrote, they were thinking they were not going to be interested in watching it, because they weren’t interested into hip hop music but that, after a few minutes, they were totally engrossed and loved it. What do you think it was that appealed to a varied audience rather than only hip hop fans? BS: I think that, that movie, as in pretty much in any movie or TV show, it can’t just be about one thing. It has to be about character, the story has to be engaging, the character has to be completely engrossing and then comes whatever else the movie is; so people liked that movie and it also had hip hop in it. PC: Was there a soundtrack released with the movie? BS: There was not. That movie was made for very little money and made by, basically, kids who didn’t know what they were doing. If I made that movie today I would do a lot of things differently, one of them would be to release a soundtrack. In fact, there is a list of things I would do different, not necessarily in the making of the movie, but in what comes afterwards. What you never think about, what you’re not prepared for- especially when your 20 years old- is: the selling of the movie, the marketing, the publicity, the soundtrack. PC: It’s a whole different ball game now though 20 years on with social media etc. PC: Your second movie The List– a fun movie with some food for thought angst thrown in– what were your ideas making that movie? BS: That movie, it came to me from a great writer, who’s now a great friend of mine, named, Marcus Folmar. So I didn’t write it, I directed it. I worked with Marcus on the script. It was really his idea, he had a producer attached and they brought it to me. Between making The Beat and making The List, I had gone back to finish school. (Again, because my mom was big on education, I refused to not have a degree- even if it was a degree in making films which was something I was already doing in my career). So I went back and I finished school and that movie script came to me; and it was just a fun romantic comedy which I hadn’t really seen before. We put it together fairly quickly. We got Wayne Brady to be part of it. PC: It was quite a cast! BS: It was at a time people were making smaller movies, which they hadn’t done for quite a while, so it wasn’t as difficult as you might think. Our budget was tiny but actors want to act. That’s one of the things I always say when someone says, ‘I don’t know…can we really get this person for the role?’ That movie was a lot of fun. We had a lot of problems in the making of it- I won’t get into too much detail but some of our investors ended up to be not very honest people- and after we had made the movie, which we ended up making for less than half the budget, in a fraction of the time we were supposed to have, there were lawsuits and it was a kind of a mess. But the making of the movie…that part was fun. PC: Can you explain how you go about finding investors for a movie? What are investors expecting in return? BS: That question requires an extremely long answer. The best version of the answer I can give is (and by the way this is all changing, has changed, it’s been a while since I was in the independent film world), the hardest and most important thing to do is: to find a producer who believes in the material and who has access to the right investors who can get behind the film and that part, I think, remains true. PC: Your third movie Blues– a gritty crime thriller– I just noticed earlier your wife was executive producer on that movie. How was that working together? BS: That was great! It was one of the best times I’ve had making anything, because it was my idea, it was all me: I wrote it, I produced it, I directed it so I only had to answer to myself (and my wife really). We got some great actors. It was basically one location over the course of eight nights and just kind of saying like, ‘Look, it’s not that hard to make a movie. Let’s all just get together and do it’ and we did; and it turned out we were able to release it. That was the goal I had for the movie: let’s make it and get it out there and let people see it. So we got a small DVD release, and we played it at a few festivals, and I look back very fondly on that movie. It’s a movie on which I taught myself to edit, I had Kevin Oeser as my editor, who is fantastic. I only had a small amount of money so after a while he just handed over the reins and said, ‘Alright, you can’t pay me anymore, so I guess you have to finish editing it’, so I did. I sat with him for a week, while he taught me how to work the machine, and from there it was all me. PC: Again that’s getting back to your work ethic, you could have just said, ‘Oh well that’s it over’, but instead you grabbed it with both hands and made it work. BS: Yes I hadn’t thought of that, the goal was to get it done and you just got to do what you got to do sometimes. PC: Out of three movies which do you look back on as being the most pleasurable, or satisfying, to work on? BS: I can’t choose, they are all different. I loved them for different reasons and they all went on to do very different things, for me, and in the world. The Beat is still looked at very fondly; I still get emails from people in other countries, saying: I just found The Beat in my local store, it moves me and I just wanted to let you know. I got lots of relationships from The List I met lots of people that are still close friends to this day. And I kind of learned on that movie that you can do anything, because we started out with a decent-sized budget on that movie and then ended up with having to make it for so little, in so little time. And we were all kids, we were just out there having a good time. It was a real movie, with real actors and real professionals, we were on a studio lot- the whole thing- and for the first time I experienced some real troubles. The producers came to me and said, ‘Look, you don’t have any more money’, so I had to go stand in front of my cast and crew and say, ‘Guys, we are out of money. If you want to go home, today’s the day you can go home, but we have seven more days of film to shoot and I’m going to do that.’ And, to their credit, everyone stuck around and we finished the movie together; we all banded together to get the thing done. And so I’m very proud of that movie, that we managed to get it done against great odds. PC: So when you first saw the Pilot, with Red in the box, that must have like really blown your mind– as it did for us fans. Is that a true assessment? PC: The pilot really was just amazing from the start, like Boom! Got you! PC: What were the reasons for the time slot on the show changing? BS: Those decisions are made by people way above my pay grade; I think it was a decision that NBC made. I have no say, but my thinking is: we started out in the Monday night slot after The Voice, it’s a really good slot to launch shows, so once we were launched we were no longer a new show and it was time to move on, so that slot could give another show a chance to have a strong launch. And also I think they needed a strong show to anchor their Thursday nights, and we were a very strong show, so it just kind of worked out that way. PC: Some people are saying the ratings are down for the first part of season 4, but that is not the case is it? For the time slot it’s what you expected? BS: You have to take the whole picture into account and the whole picture tells a different story than the ratings are down. The same night ratings are lower than they were when we were in a different time slot, but we are still one of the most viewed shows on television; we have huge gains in the live plus 3, live plus 7 ratings so lots of people are still watching the show but it’s a little harder to get them to watch them on Thursday nights. We are still a very popular show, and we still do our best to make the best show we can, for the people who love the show, for the people who tune in. PC: In a recent interview James Spader was asked if he thought the writers minded his endless phone calls about script changes. He responded with, ‘I wouldn’t know’, but suggested there is probably much eye–rolling and cursing that he’s unaware of in the writers’ room. How do you find his meticulous eye for detail? I expect you really value his input, in the way that he knows more than anyone the nuances of the character he plays. Who has the final say? How much change is he allowed to make? BS: James Spader is an excellent partner and he definitely makes lots of suggestions; he definitely has a take on every script that comes through. He does read every script before we begin shooting; he is very involved in the process and we very much value his notes and his opinions on the way the scripts are coming out. I do say, ‘partner’ because he works with our show runners, and the decisions really come down from the show runners about the direction of the show, and what we are doing script-to-script, with regards to the storyline, but we do all work together to make sure we put out the best show possible on TV. At the end of the day everyone’s goal is the same: we value everyone’s opinions, those that come from our cast and crew and those that come out of the writers’ room. It’s definitely a collaborative process but the show is really guided by our incredible show runners. PC: So the scenes between Red and Liz can be so emotional and intense. How do you, and the other writers in LA, convey to the cast and crew in New York how exactly you would like a scene played out? BS: That process requires two things: for us to be as descriptive and as specific on the page within the script so that the actors, really by reading the script, can feel what they should be doing, that they can really understand where the characters are coming from and then the other side of that is the cast. Just having wonderful actors who really take the words and make them their own, and do the work of figuring out the emotional states of the characters, and how their relationships are to be played. And of course, we always have open lines of communication, and we are constantly talking from the writers’ room to the set, via phone or video conference, or however we have to get together, whenever there is a question; we are always open and ready to help guide them. PC: And that works the same for the different directors on the show, when you want them to put a certain slant on a scene? BS: Absolutely, it’s the same for the directors and we have an amazing on-set producing director who is there for all the episodes. He doesn’t direct all the episodes, but he is a producer on the show, and he directs some of the bigger episodes of the season. His name is Michael Watkins. He is there to be on set when the writers’ room can’t be, and be a direct line of communication between the show runners and what’s happening on the set day-to-day. PC: How satisfying is it for you to see the finished product of your writing, your work, when an episode is finally aired? BS: It’s amazing! As we’ve discussed, I started out in independent films, and from the time I would sit down to write a script, to the time I was finally sitting in a theatre with an audience watching that script, was about three years. Now it’s one of the things that I love most about television, we will sit down and write a script and within a matter of weeks that script is on TV, there in front of an audience, it’s happening so quickly that it almost feels live. It’s not quite live, because we do write them and shoot them and it goes through the whole process, but it’s about as fast as you can get. When you’re in network television, by the time you’re down to the end of the season, you’re writing, shooting, going through post-production; it’s a process which is well-tuned and honed from year-to-year and this is how television works. It’s a well-oiled machine that churns out episodes of television, that gets them into this highly professional place; it is like a polished episode which is done to almost real time, from when I sat down to start writing it. It’s amazing. PC: As writers, do you feel a responsibility to highlight certain events or issues or topics? Do you aim to focus on certain types or groups of people? BS: I think our highest responsibility, especially on a show like The Blacklist, is to tell the best story possible. Yes, we love when we have the opportunity to put in a storyline that reflects on something happening in the world, or a statement that we want to make, but you never want to sacrifice the quality of the episode to make a statement. Or if you saw something on TV, or on the news, and wanted to get it on the show it’s like, ‘Well, is this the right story to be telling?’ And that’s where we start, ‘Is this the right way to be telling this story? Is this the most interesting way to do this?’ And you have to check all these boxes before you start looking at making a statement, or highlighting things like that. As a writer, when you have these things happen to you, or your friends and family, do you think, ‘Oh yeah. I can actually use that in a script,’ or is that just me? BS: Absolutely, absolutely! Some of the stranger things you have seen on the show are probably things that have happened to people in the writers’ room, we kind of roll with that. We might say, ‘Well that’s something that will work well in the script that Red could have done or said,’ or that sort of thing. I just wrote a speech that Red gives about a horse- and I don’t know if it will end up in the final draft of the script- as an early draft, but I was at a pumpkin patch, it was Halloween, with my kids and my two sons were both on these ponies. Looking at that image of a kid on a pony, I was like, ‘That’s a good thing. We can work a horse thing in and it kind of fits in a theme,’ I started writing the next day and so he ended up talking about horses. BS: Yes, little things happen in everyday life and we are fortunate to be able to turn those things into something that everyone gets to see and hopefully enjoy. PC: I was also chatting with Daniel Knauf and he was posting about this on Twitter. He was saying a bad review or opinion should be taken as seriously, if not more so, than the safe, nice reviews. Do you agree with that? BS: Well first of all, Daniel Knauf, is a genius so I tend to agree with him; I think you do need to. There is a difference between taking them seriously and internalising; it’s not a good idea to internalise any of the reviews, good or bad, better just to look at those as a gauge to how the show is being received. PC: So you would never use them in terms of changing your long–term objective? You would just notice them and take note, but never change a story, or a script, on account of them? BS: Exactly, it is a barometer for us, the audience receiving the material in the way that it is intended. If you don’t internalize it but you look at it like that, then it is important to not necessarily look at the good ones and say, ‘Look! It works,’ but also look at the bad ones because those will tell you where it’s not working or, and this is an interesting thing about what we do, sometimes if you read a review, you realize that what the writer of the review is saying isn’t the show is bad, they are reacting to something that happened in the show that they didn’t agree with, or that made them upset, and maybe it’s something that will be remedied in the next few episodes but because we tell a long arcing story, sometimes those stories end in a place where people say, ‘Well, how could that be?’ and they don’t like the direction, not knowing that the direction is only at the halfway point. We need to wait and see what happens. PC: Having been a part of the show since the pilot, can you share an episode that stands out for you– not necessarily your own but maybe it would be your own– and can you go further than that and talk about a specific scene that either has a special place in your heart, or stands out to you? BS: That is a good question. There are a couple of different episodes that stand out, and I won’t go over how amazing the pilot was. We are in season 4 of the show but the pilot was amazing; such a strong, continuing storyline that we are still telling stories based on that pilot. I will put that aside. PC: They both played that so well. Amir Arison was all, ‘Oh, my God!’ and James Spader playing it so cool. Is assembling that gun, something James was trained to do as an actor? BS: Yes, and he did. James learnt how to do it, he practised and practised. He got proficient with it and he is just a complete professional. He really put in the time and effort to make that seem real, by really knowing how to do it. PC: Does the same apply to Amir? Did he have to take a crash course in computing? 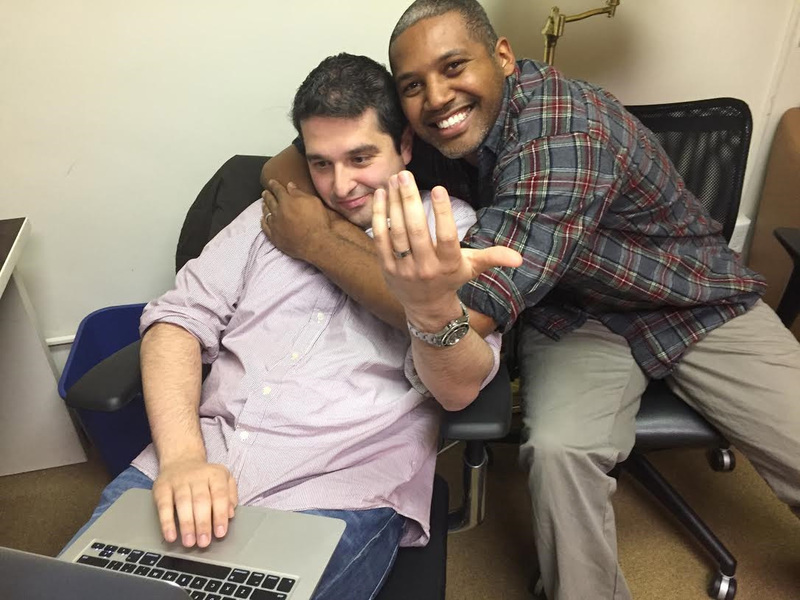 Amir and Dave Metzger, the writers’ assistant, have actually started quite a friendship because they talk often. Amir will often check in with him to make sure what he’s doing sounds right, make sure that he’s saying the right words and that this is how someone would really hack, or do a search on a computer. 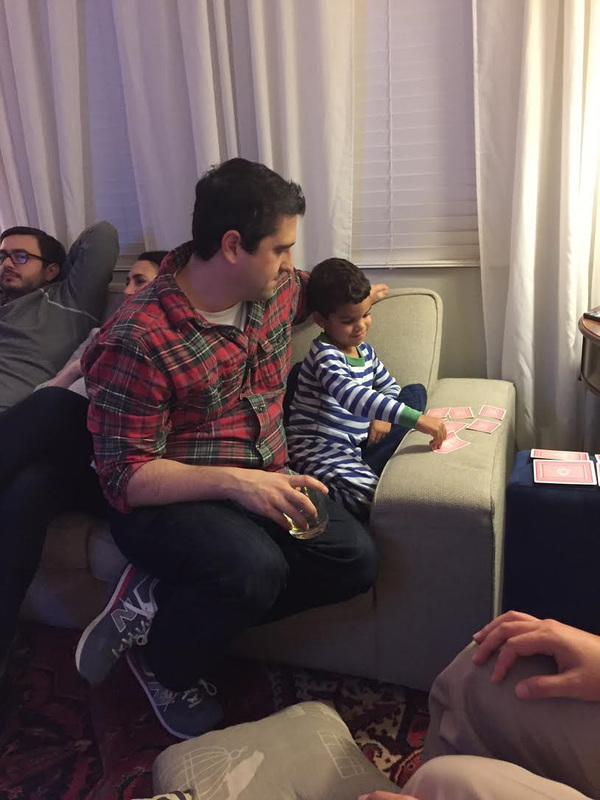 There is a photo on the set of Aram’s apartment- just kind of in the background amongst a bunch of other stuff- a photo of Amir and Dave together, but technically on the show, Dave, our writers’ assistant, is Aram’s distant cousin so in that photo, yeah, it’s a photo of his cousin. PC: If anyone should ask! PC: Those quotes that Reddington uses that impress us all, for example, ‘You can’t judge a book by its cover but you can by its first few chapters, and certainly by its last.’ Are they well–known quotes that the writers have sat down and collaborated to expand upon? BS: That’s what we want, we want fans to feel connected in that way. It’s a great thing to hear, that people are feeling that connected to it, that’s exactly what we want. PC: Some of the place names that effortlessly roll off Red’s tongue and I’m thinking of the Vanguard which we all know is a famous Jazz club in New York and since we know James Spader is a Jazz and Blues fan (amongst other genres) and is a frequent visitor to the club, are the foreign restaurants and other places mentioned in the script included because he is familiar with them and wants to have them as part of his lines? Or is it just a case of him being a great actor and turning his hand to whatever is required of him? BS: James is an actor who is very good at just being consistent. I know that James does love lots of those things, lots of those places, but they are on the page when he gets it. And he will take a look and go, ‘Oh, I know that place.’ Even if he doesn’t, he is convincing in that he has been there or done those things, but for the most part those names are already in the script, either from the writer’s room or Jon, and yes, it’s just a case of very good acting. PC: A few fans on social media forums would like to know, how much upheaval did Megan’s pregnancy cause in terms of how much impact on the long game did it have? Or was it perhaps already envisaged her character was always going to have a baby at some stage? BS: What I can say is that the end game, the point that we are aiming for in the finality of the show, we have not changed; it remains constant, in what have been shooting for this whole time. That has not been changed in anyway. Yes her pregnancy had an impact on season 3 but really, in our opinion, it’s gave us an opportunity to tell a better, engrossing story, a story in which there were huge stakes. We had the opportunity to have Megan playing being pregnant, along with her actual pregnancy, which made for a great performance. Her performance would have been amazing anyway, because she is an amazing actress, but I will say that, yes, we had to do some writing to make it all fit, but it was a great thing and actually very good for us as a show. 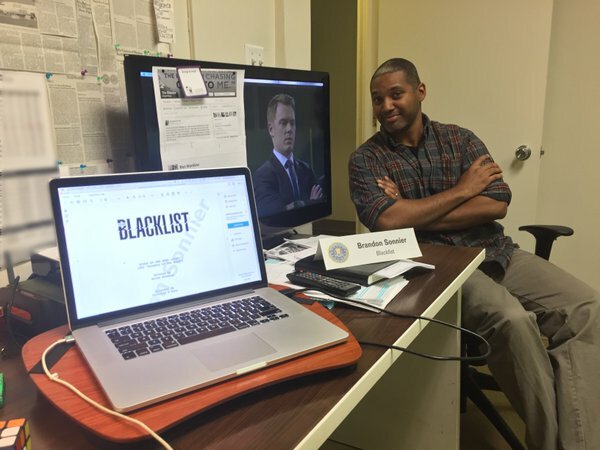 PC: You haven’t yet directed an episode of The Blacklist have you? PC: Would you like to? BS: Yeah, if the opportunity came up that would be great and I would take it, but I have enough on my plate, writing and producing for the show and I’m very happy doing that. PC: During the hiatus, how much time are you able to have off? Do the writers get the same time off as the cast or is it almost continuous? PC: What kind of hours do you put in? Is it like a 40–hour week or is it more like a 60–hour week? BS: It really depends. Our show runners are very good about getting us in, we are in, in the morning and we are out at around 6pm every day. Sometimes you stay a little bit later to keep working on a script, but usually that’s just because we are on a roll and we just keep moving. Hours fluctuate sometimes: when they are shooting a script you may have early morning meetings, or you may have a late night to go over revisions, so it really is up-and-down, but for the most part it’s just an average work week 9:30- 6:00. PC: You have had some really big hitters on the show, I loved Peter Fonda and Alan Alda, do they come to you? Or do you go to them? Is it their agents who contact the show or do you look for them? What is the casting process? BS: Generally that is done through the casting director. We have a brilliant one in New York and they will get the people that Jon has in mind and we will reach out to them. Sometimes there is a special actor we are thinking about, or that the Johns are thinking about, and other times it really is just a matter of the casting director saying, ‘Do you know who would be great for that role’ And we are fortunate in that we have a show that people like, we have a popular show, so a lot of times we were able to get our first choice of actors that are willing to come on the show. PC: So are you writing with those people in mind or writing for them after you get them? BS: The parts are usually written before they are cast. PC: I loved the Leslie Jones story, where she went on Late Night with Seth Meyers and declared her love for James Spader and then very quickly she was brought into an episode. How did that all come together? BS: It came from our show runner, Jon Bokenkamp. He heard that she really liked the show and he said, ‘We should put her in it.’ He wrote a quick little scene, and there she was and she was willing to do it, she was on the show. Our show runners, aside from being great show runners and great bosses, they also are great fans of the show, so when they hear that someone’s really enjoying the show, they notice; Bokenkamp pays attention to what’s going on when there’s a mention of the show. Because he is also a fan of the show as well as the creator and writer and, along with John Eisendrath, they are the driving force behind the show, but they still take the time to watch the episodes and be active on the internet, so they really do set a good standard for the rest of the writers to follow. PC: I was listening to an old interview where you said, at that time, you had never visited the New York set or studios, have you done that now? PC: Have you not? How does that work? 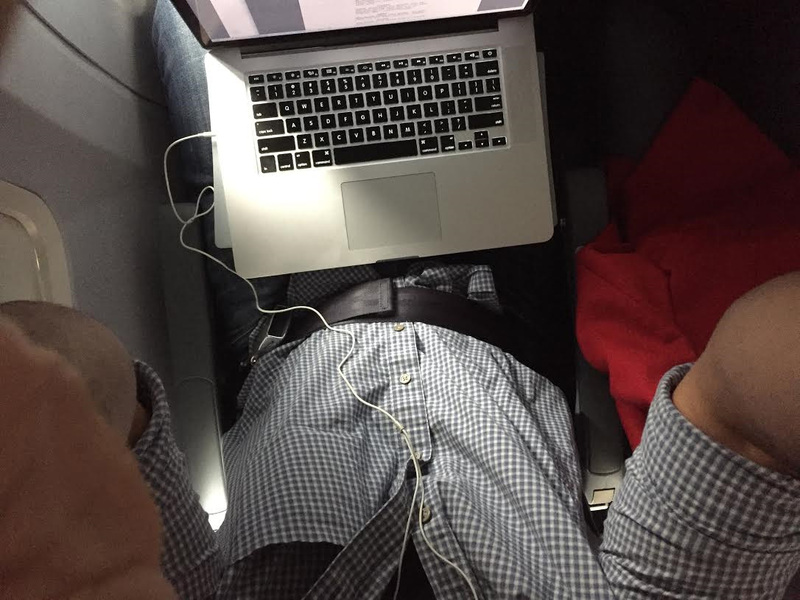 BS: I’ve spoken to everyone on set, we have long phone calls and we work things out that way but I’m so busy here writing, and helping break the next episode, and trying to be helpful here where I can, so I haven’t made it to New York yet. Other writers have gone, but I tend to stay here because I don’t want to leave my family; other writers have a little more free time in their personal life, so they can get on a plane and be gone for a week or two weeks, to be on set. So given the opportunity, I can say I will stay here, I can do my work in Los Angeles and go home every day, as opposed to being in New York but it’s a very fun place, everyone is really great there, I love talking to them and I watch daily’s everyday to see what’s going on and see what’s being shot. PC: Is it unusual for the writers and cast to be in different locations, is it more of just a Blacklist thing? BS: It’s not that unusual. A lot of writers’ rooms are in Los Angeles but shows can choose to shoot in New York or Vancouver, it’s not actually that unusual to have the room in a different city. PC: Obviously we want the show to continue for many seasons but do you think there’s a limit to how many series makes good TV? BS: I don’t really know the answer to that question other than to say we have a lot of stories left to tell. No matter how many seasons those stories fill up, we are not at the end of the story that we set out to tell yet. PC: Many of the questions on the show that haven’t been answered yet will be answered, I presume, before the show ends? PC: Like Sam’s relationship to Red. Why would Red have access to the presidential limo? The scene where Kirk said to Red, ‘I had a gun in your mouth. I should have pulled the trigger.’ There are many unanswered questions. BS: Yep! Those questions all have answers and so we do know how we are going to tell them, we don’t yet know when we are going to tell them. PC: I can’t understand the people who seem to want to rush the whole thing. 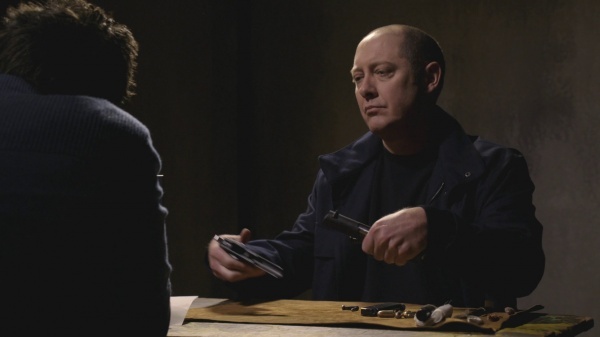 They want the answers now but then, like James Spader has always said, ‘If we get the answers now to some of these questions, where does that leave the rest of the forthcoming series?’ Really the fans should just take it as it comes each week and enjoy the ride. PC: Yeah, like people who turn to the last page of a book before reading the whole of the first chapter even. PC: I was watching the ‘Milton Bobbit’ episode in which there’s a scene where Red had a pimento cheese sandwich, and he said something about it being a recipe from Eartha Kitt. My editor, Davina, went to research that but couldn’t find any reference relating to it. Is that little story just something you have come up with, or does it have some truth to it? BS: There is usually something behind that or some truth behind that. I didn’t write that particular scene so I don’t know what’s behind it, but usually that sort of thing does come from some source, things like that aren’t just conjured out of thin air, they do come from somewhere. PC: Do you hang out with the other people in the writers’ room outside of work? BS: The answer to that is yes, and as often as possible, which is sometimes less often than others but me and my writing partner, Brandon Margolis, we hang out all the time, our two families are friends, we enjoy hanging out with each other even when we don’t have to. My wife will often say, ‘Oh, we are seeing the Margolises this weekend. Are you sure? You just sat with him in a room all week.’ I say, ‘Yeah, but we were working, now we are just having fun.’ But we will get together with, not only writers who are currently working on the show, but also writers who have worked on the show in the past. We still have relationships, we are still close, we get together for drinks when we can and I had a Father’s Day BBQ, a lot of the writers came to my house for that. Several of them, Margolis and Dave and a couple of others have planned to be at my house for Thanksgiving, we do see each other quite a bit. PC: Who is Chap Taylor? Is he a new guy? I’d not noticed his name on the credits before. BS: This is his first year on the show. He’s been a great addition to the team and he’s a lot of fun, a good guy; this is actually his first television writing job, before that he was a writer on feature films. PC: And Nicole Philips she’s moved on now to another show hasn’t she? BS: Yes, she’s gone on to other things but we will keep in touch. We are like a big family on The Blacklist. PC: I do love many, if not most, music genres but as I’ve said to you already, hip hop not so much. What is it that draws you to it? Do you particularly like hip hop or is it just something you had in your movies? BS: No, I’m certainly a big hip hop fan, it is the genre of music that I listen to the most and it’s what I grew up listening to. It really does for me speak to the culture that I am from. And I know people perhaps think hip hop is negative, and that people have a negative feeling about it sometimes, and I do believe that is down to more of a lack of understanding about where it comes from, and what it’s saying. There are negative things: it is sometimes an expression of frustration or anger when you look out at what’s happening around you, and you need to express yourself about what you see in your life, but also it can also be a very positive thing, and the roots of hip hop come from a place of lifting yourself up. You will notice that a lot of hip hop is a lot of guys talking about how great they are, but what people don’t realise is, that comes from a place of the rest of the world not recognising how great you are, but you’re the only one who can say it for yourself, really it comes from that place. PC: I’d never thought of it like that, no one is going to big you up so you have to be big yourself up. PC: So maybe I have just been listening to the wrong stuff. What would you recommend as a starting point for someone like me who says, ‘Hmm…I’m not really keen on that kind of music’? BS: There is so much fantastic music. I’m a huge Jay Z fan as most people in hip hop tend to be, he is one of the greats. Jay Z wrote a really amazing book a few years back called Decoded. It really was laying out kind of what hip hop’s all about, and then going through a lot of his songs and discussing the fact that, if you step back from whatever your feelings about hip hop might be and look at the music, it is actual poetry. And he goes through, how it worked and really laying out what he was doing when making those songs. Anybody who would like a quick education in hip hop should definite look at Jay Z’s Decoded book; it really opens people’s eyes. Also I’m listening right now to a young rapper named Vic Mensa, I’m sure people will be hearing him in the future and Chance the Rapper, he is pretty good right now. I think he is still unsigned by a label, he fell off his label contract because he wants to use his own voice and say what he wants to say and he doesn’t want anyone controlling that, so I have a lot of respect for that. And Hamilton, I have been a fan of Hamilton since the cast recording came out. My oldest son and I can sing the words, my middle child, my younger son, is catching on and learning the words. We listen to Hamilton on most of our drives into school. It’s a little tougher with some of the music I listen to other than Hamilton. My four-year-old is now aware of who George Washington was, and who Hamilton was, and what happened between Alexander Hamilton and Aaron Burr, and how Washington was the first president, he decided he was going to step down and other greats in American history. PC: He knows that at four, wow! BS: I try to answer every question my kids have, with as much honesty and information as I can, which I’m sure goes back to my mom instilling a love for education in us. So when we first listened to Hamilton he had a ton of questions, so we read about them and what they did, we look at the picture of the person in the cast of Hamilton, versus the picture online of the actual person and it’s a really fun thing. PC: What a great way to do that, through music and through song and theater. Is it mainly American artists you listen to? There seems to be a lot of new European hip hop coming through. BS: It’s mainly American stuff; I don’t have much time to explore other music. Just organising this interview has taken up a lot of time; my days are incredibly full just between my family life and work. I coach my son’s tee ball team so I don’t have as much time as I like to really explore new music, and international artists, and things like that. Maybe one day when the kids grow up! PC: Thinking back to your own childhood, can you remember the first song that you really felt? BS: A long time ago there was an artist Tevin Campbell- it’s very random, he was a kid he was literally my age- he was a young teenager when he had this album come out and I think it was just the fact that there was a kid, who was my age, singing about like the girl that he liked that he couldn’t convince to like him back, and that kind of stuff, so I remember one of the first things that I noticed in music, that I really paid attention to and listened to over and over, was that Tevin Campbell album. PC: When you listen to music are you more about the lyrics in the song? Or are you more about the beat? BS: It really goes back and forth, it depends on my mood, depends on what I’m doing at the time. I have a lot of playlists that I listen to when I’m writing that don’t have many words or none at all, probably because while I’m writing I don’t want other people’s words in my head. I will listen to a lot of jazz, some Miles Davis and John Coltrane while I’m writing, just to get the feeling when music is on, but it also depends on what I’m writing because I will change the genre of music based on the project that I’m writing episodes on. PC: So obviously the soundtrack to the Blacklist has some fantastic songs are there any that you have particularly enjoyed? PC: Do you go to see much live music? BS: I don’t go to see much live music although, for our anniversary, I recently took my wife to see the Dixie Chicks, so that was the last concert I was at. PC: Is there a favourite concert that you have been to ever, that stands out? BS: One of my favourite concerts was a Bruno Mars’ Concert, he is a great performer. I liked his music before and it kind of held a special place for my wife and I, as we listened to that album a lot around the time the year after we were married. ‘Not Unorthodox Jukebox’, the one that came before that, ‘Doo Wops and Hooligans’ so we went to that concert and Janelle Monáe opened for Bruno Mars and it was just such a night of real performers and they were dancing and singing it was a fantastic concert. PC: I love his energy. Is he just as good live as one imagines he would be? BS: He is great live. Amazing! PC: Do you play an instrument or would you more likely have been found at the DJ booth…? BS: I do not play an instrument. I haven’t since the trombone in junior high and yeah I’m more of a ‘hang out by the DJ’ kind of guy. PC: Can you share some music that takes you back to a special place or time in your life? BS: The song It Feels Like Home by Chantelle Kreviazuk was the song I had as my first dance with my wife at my wedding, so that one is special. The Kanye West album with Spaceship on it (College Dropout), I listened to a lot whilst I was making my first movie, so every time I hear old school Kanye West it always takes me back to that time. And a recent thing, I feel happy anytime I hear anything from Hamilton because it makes me think of my kids. PC: Not including any of your, own do you have a favourite movie soundtrack? BS: One of my favourite, in fact it’s a score and I listen to it often, is the score to The Usual Suspects. I find it really good to write to but also it’s by John Ottman, he did the score but also edited that movie; it is a really fun soundtrack to listen to. PC: That’s such a cracking movie as well, one I’m very fond of. BS: Yeah, I love that film! PC: Is there any new music you have heard that’s excited you lately? BS: The two I mentioned earlier, Chance the Rapper and Vic Mensa, are two of the most recent hip hop artists that have exploded onto the scene that I’m really into right now. Vic Mensa, his rap is part mainstream and part socially conscious, commenting on the state of America today and things that are happening in our community, so I really appreciate what he is doing in hip hop right now. PC: He will have plenty to rap about with events in America lately! BS: Yes he’s got a lot to say, there’s a lot going on. PC: Which decade do you think has produced the best music? BS: For me it’s the ‘90s, Jay Z and Lil Wayne, T.I. A lot of great hip hop came out of the ‘90s and it’s still going but I just think it hits me in a very personal place all of the songs out of the ‘90s. PC: Are you more of a vinyl or a digital guy? Do you have records or are you all mp3s and iPhone? BS: I don’t have any records. When I was a kid it was all tapes- we had cassette tapes- so literally I’m only digital now, I don’t own a single vinyl and all of my tapes after years of being played have snapped or unwound themselves. PC: Some of those old cassettes are collectors now, I do have some left but gave most of mine away. I am really back into vinyl now. PC: Yeah I have been buying it everywhere, from shops, stoop type sales, but sometimes the quality is so poor; I recently bought a remastered Robert Johnson album, the quality was so bad I had to return it to the shop, it was almost unplayable. But it’s really good to be collecting them again. Prince on vinyl sounds amazing! BS: Oh yeah I bet! PC: Do you gladly do your thing on the dance floor or do you just point blank refuse to? And I’m going to be disappointed if you don’t dance. BS: I am terrible! I just can’t do it; I don’t know why, I’ve never learnt, I just am not a dancer. BS: My guilty music pleasure is, actually I don’t know if you’re familiar with Kidz Bop, it’s basically pop songs. It’s covers of pop songs sung by kids, that kids can listen to without all of the stuff that they shouldn’t hear. I will put it on at home because we listen to a lot of music in the background and I actually enjoy it; it’s just all pop music but it is good fun. PC: Which song, poem or piece of music would you like played at your own funeral? Some people don’t want to answer this question. BS: It’s not that I don’t want to answer it, it’s just that I’ve never thought about it. PC: What is your favourite word? BS: My favourite word is: yes. PC: That was Brandon Margolis favourite word too! BS: Oh, was it really? BS: My perfect day: is a day in which I get to spend the entire day with my family, my beautiful wife and my three gorgeous kids, with nothing to do, but just be with my family. BS: I can’t possibly live without my family. I don’t know if you noticed but that’s a big thing for me. PC: Yes I have noticed. I see the photos you post of them; it is really sweet how much you clearly adore them. Thanks to Brandon for taking a lot of time out to answer my many questions. Truly enjoyed reading this! Brandon was very generous with his time & answers. Wonderful to hear about the collaboration between the writers & cast on The Blacklist. A lot of respect is shown for the full process of creating the episodes, with everyone’s talents contributing to the shows success. Love learning some of the little details that go into creating the show. All of this makes me appreciate the show even more. Loved hearing about his start in the industry & his journey towards his goals by education & hard work. To being a good person. I’m going on a mission to find a copy of The Beat & I’ll also give Jay Z’s Decoded a read. The writing team of the two Brandon’s have created some of my favourite episodes (T. Earl King & Leonard Caul are a couple) & I look forward to seeing what they come up with next! Thank you Brandon & Paula! Thank you for taking the time to read it and for your support. Thank you Paula for another great interview! 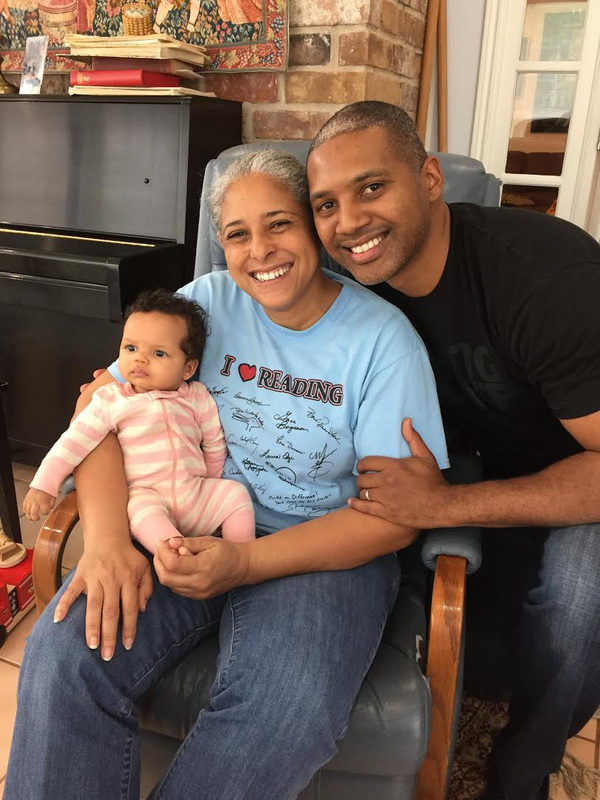 Side note – The picture with Brandon’s Mom and daughter was beautiful. We need to find out his mom’s secret, She is gorgeous!!! Thank you so much Crystal for your kind words.